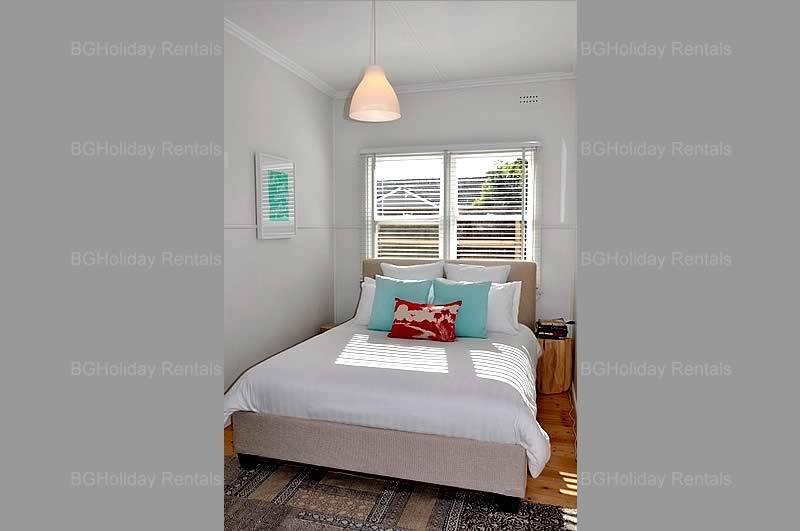 Barwon Beach Shack, stunning, refurbished older style holiday house in Barwon Heads... great location, few minutes walk to beach, river, shops, bakeries, restaurants, super markets, walking tracks, parks and all Barwon Heads has to offer including a short drive to Queenscliff, Pt. Lonsdale, Geelong, Torquay, Portarlington olive groves and wineries, St. Leonards and the Bellarine coastal drive, and one hour drive to Lorne via the Great Ocean Road. Park your car when you arrive and walk everywhere. 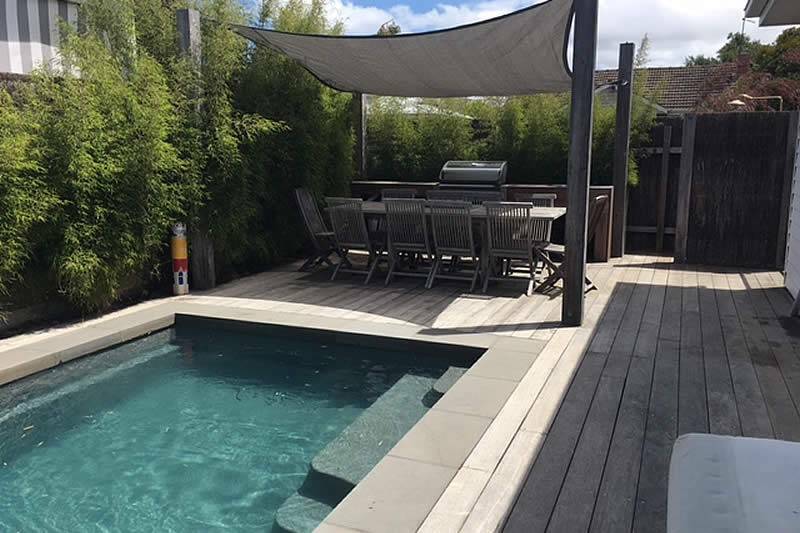 A fantastic Beach Shack complete with heated pool/spa for family week-ends and holidays. 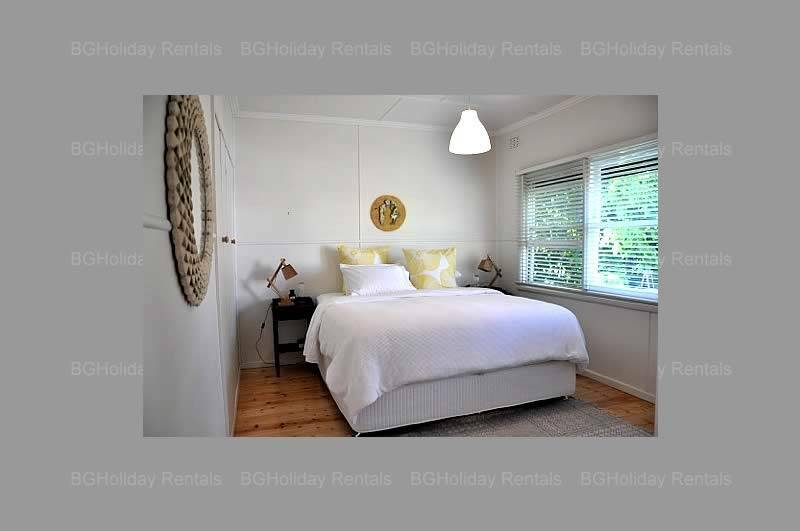 Barwon Beach Shack has 3 bedrooms, main with king bed (Plush/Hotel collection) 2nd bedroom with queen bed, 3rd bedroom with two sets of bunks with trundles (6 in this room). 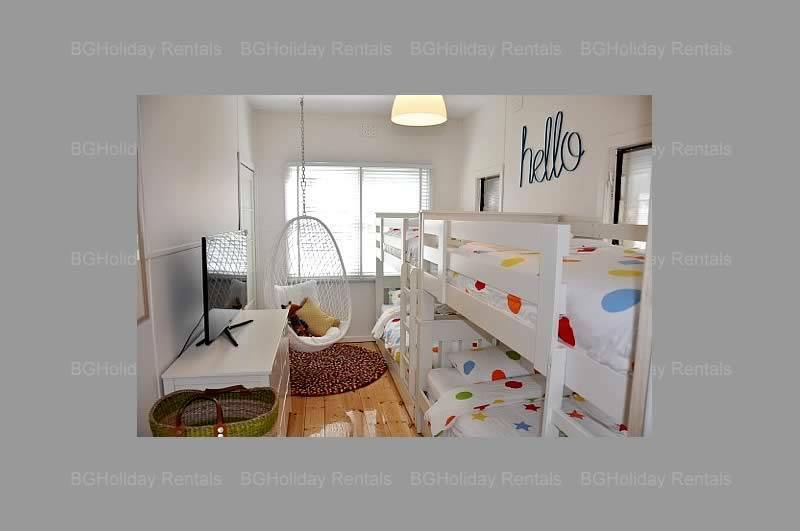 The 3rd bedroom has massive lcd tv and hanging ceiling pod chair. 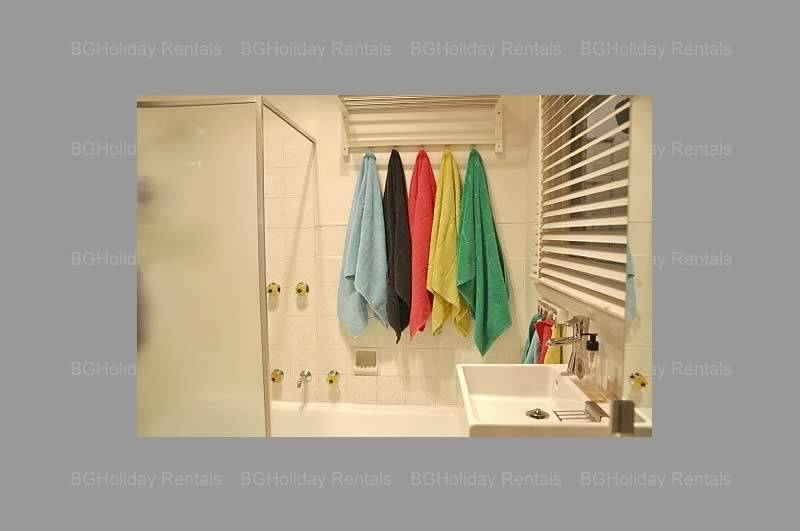 The bedrooms are supported by one bathroom, the bathroom includes ceiling light/heater, heated towel rail, hairdryer, bath and shower. The living area has Samsung smart TV (large), open fire place with glass door and 1 panel electric heating, iPod doc station, Bose system, games cupboard and childrens toys. 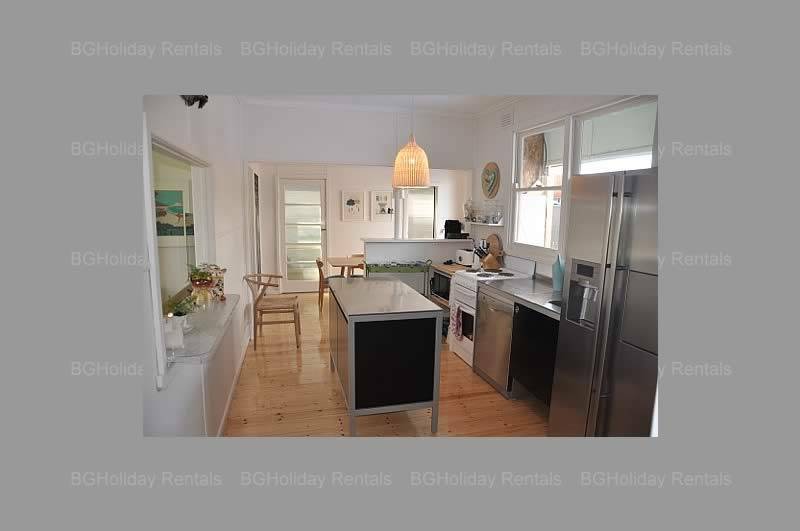 The kitchen and dining area includes electric wall panel heating, fully equipped kitchen with microwave, dishwasher, nespresso coffee machine, latest fridge with ice/water dispenser, electric cook top/oven and ample crockery, glasses, platters, pots pans to cater for entertaining. The dining area has French doors which open out onto deck overlooking the spa and pool. The laundry includes washing machine, dryer, ironing board and iron. Most appliances in the house are new (Sept 2013). 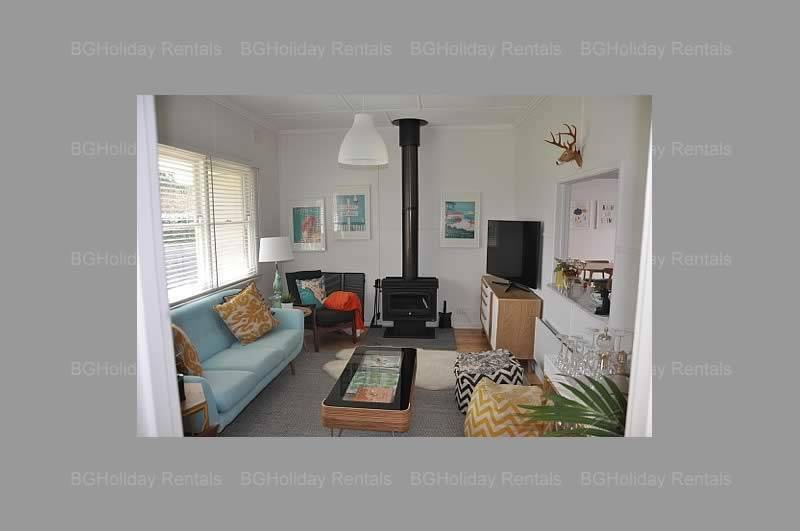 Barwon Beach Shack features heated (gas/solar - can get up to a max. 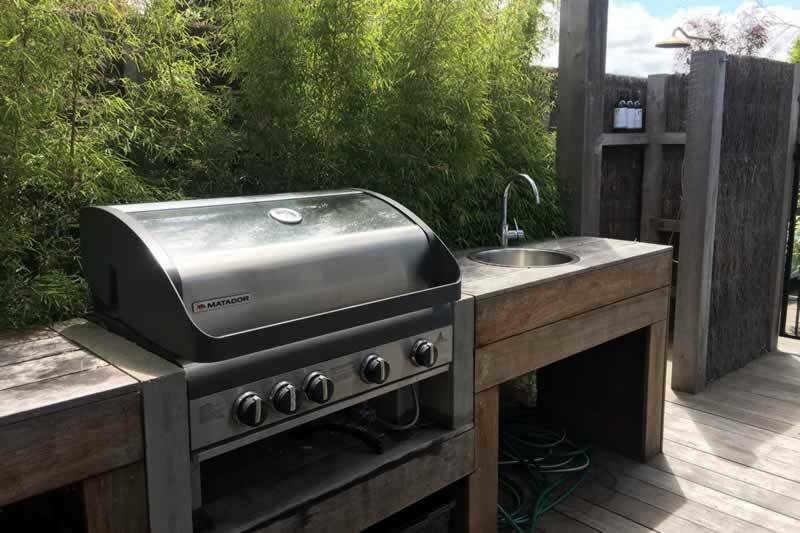 of 27 degrees and is weather dependent) pool and spa, terrific outdoor entertaining area with outdoor table for 8, fenced yard, shed that houses bikes, boogie boards, pool toys etc. 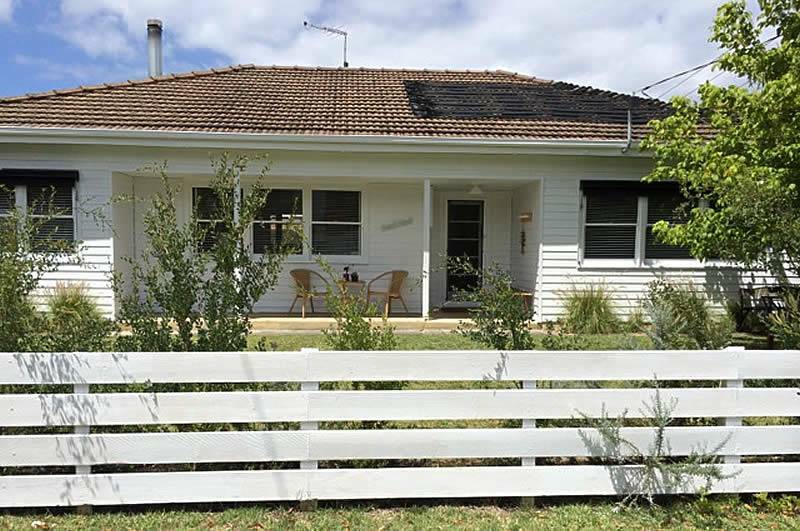 A stunning summer resort in the centre of Barwon Heads. 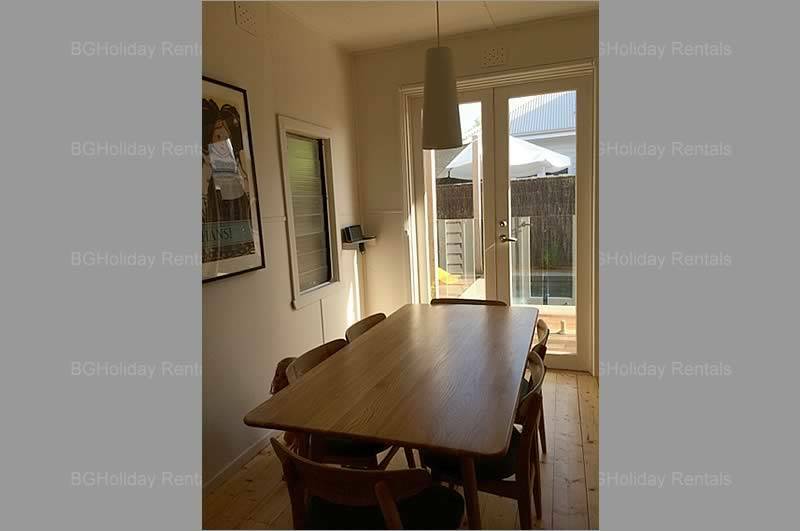 The Barwon Beach Shack has beautiful designer interiors, very well furnished and fitted out, is family friendly and includes wonderful heated pool/sap and outdoor entertaining area. An ideal holiday location for family to enjoy week-end and extended holiday breaks.